J.J. Abrams initiates the beginning of a new trilogy of Star Wars films and a resurrection of one of the most adored film series in cinematic history. It has been just over thirty years since the conclusion of the original films, and Star Wars: The Force Awakens, continues the saga’s galactic adventures. I have always had a conflicted relationship with the Star Wars films, as I would not even call myself a massive fan of the series because I find them quite over-dramatic, but yet I have a deep respect for their place in cinema. My slight intolerance comes from the considerably weak prequel trilogy, which was highly condemned by both critics and fans. However, J.J. Abrams’ Star Wars: The Force Awakens, seems to have reignited the magic of the older films, with a more grounded and light-hearted instalment. The premise involves the search for Luke Skywalker, who after the events of Return of the Jedi, has vanished without a trace. Both the resistance, led by General Leia and the First Order, (born out of the fallen Galactic Empire), are looking for him. Quite clearly, Luke is the central plot device that gets the film moving. The story commences with resistance pilot Poe Dameron (Oscar Isaac), who has been sent to planet Jakku, to recover a piece of information that might lead to the whereabouts of Luke Skywalker. 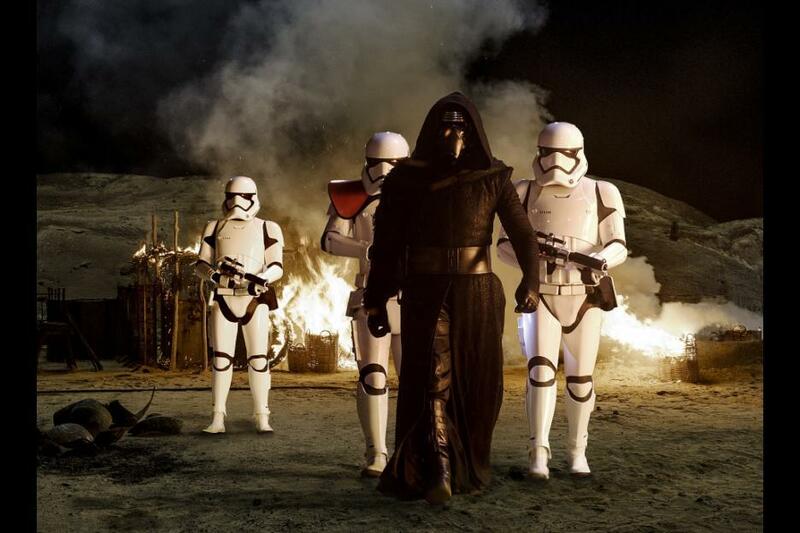 However, Poe’s mission is disrupted by Kylo Ren (Adam Driver) and his Stormtroopers. Taken prisoner by the First Order, his BB-8 droid manages to escape and it ends up meeting Rey (Daisy Ridley), an inhabitant of Jakku. 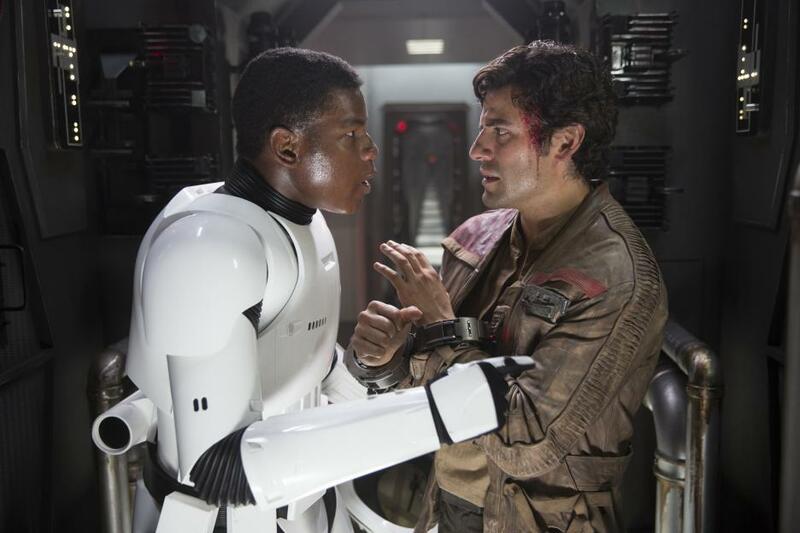 We are soon introduced to Finn (John Boyega), a morally confused Stormtrooper who has escaped from the First Order. This leads to a chain of events where Finn encounters Rey and together with the help of Han Solo (Harrison Ford) and Chewbacca, they battle against the villainous Kylo Ren. There are so many good things about Star Wars: The Force Awakens, including the new characters. The introduction of Poe, Rey and Finn, has perfectly set up room for their growth in further instalments. We don’t actually know too much about them at present, as they all are a bit of a mystery – Rey in particular. It’s clear Rey is one of the more important characters and her arc is almost identical to Luke’s beginnings, in the way she is forced out of her home, towards a more exciting and powerful destiny. Also, it is always good to see a strong female character. In the case of Poe, he seems to be slightly underdeveloped in the film, but with all his charisma, he is highly likeable. John Boyega’s portrayal of Finn is compelling to watch and he provides much of the film’s comic relief, but he is by no means confined to that role. He is probably one of the more interesting characters, due to his ties with the Stormtroopers. It is also great to see Han Solo and Chewbacca, as well as Leia, all back on our screens again, and it manages to be both nostalgic and refreshing at the same time. Whilst the film seems to have implemented some great good guys, Star Wars has always been known for producing some memorable villains, and Kylo Ren definitely fits into that category. He’s not a carbon-copy of Darth Vadar, as perhaps some may argue. There is a sense of vulnerability about him, that he is not quite as powerful as he believes he is. He is actually to some extent, presented as quite sympathetic, a character consumed by the dark side. There is a child-like petulance about him, which is combined brilliantly with his sinister prowess. He is a great villain and it will be interesting to see the direction the character takes in future instalments. Of course, the film’s spectacular action is incredibly entertaining throughout. Star Wars: The Force Awakens seems to have inverted the ever-so-serious tone of the prequels, in exchange for a more fun, enthralling film. Still, it’s not without its dark moments. The only issue I have with the film is that it is very similar to the franchise’s original film, A New Hope. In terms of the general plot, it’s almost a replica. Some elements are obviously for nostalgic purposes, but it is far too frequent. The heroic trio of Poe, Rey and Finn, although great characters are quite clearly this generation’s incarnation of Luke, Han and Leia. I don’t have a problem with this, but the next films really do need to divert from the originals, in terms of the overall plot. 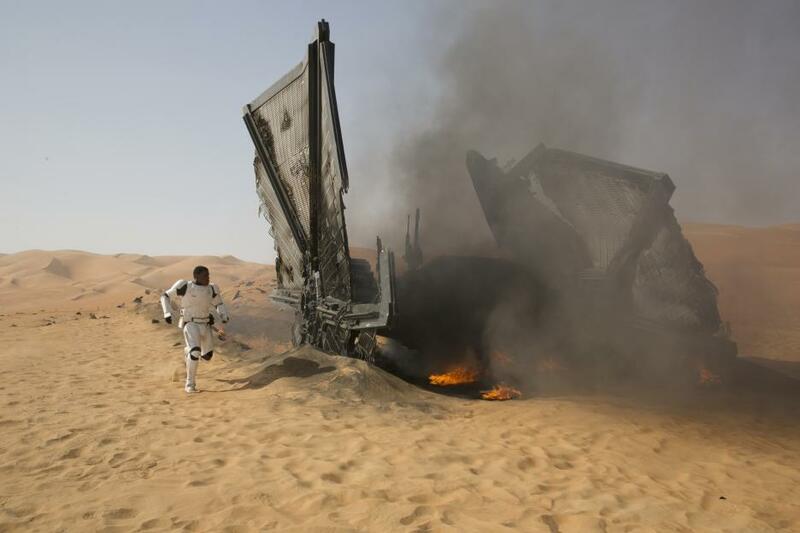 Star Wars: The Force Awakens is a fresh and stimulating addition to the saga, breathing new life into a franchise that is exciting cinema-goers once again.